Latin America is a Continent that straddles the two big oceans of the world – the Atlantic and the Pacific. In the past two decades, the Atlantic side has led on regional integration initiatives. In the 1990s, Brazil and Argentina forged Mercosur, a four country group together with Uruguay and Paraguay. Mercosur was based on a vision of free trade and a quest to expand markets. Talks even began for an even grander project to create a 34-country free trade area of the Americas. But free trade was not to the liking of the left-wing governments that came to power over the last decade. The former Brazilian President, Lula da Silva, ended the talks for the Americas Free Trade Area preferring a much scaled back forum for political cooperation known as the South American Union (UNASUL in Portuguese) which he sponsored. Meanwhile Hugo Chavéz, Venezuela's president, formed ALBA, an anti-US bloc, with Cuba and Bolivia and other allies. Up until now, Latin America has seen endless talk of regional integration, but it has all added up to rather less action. 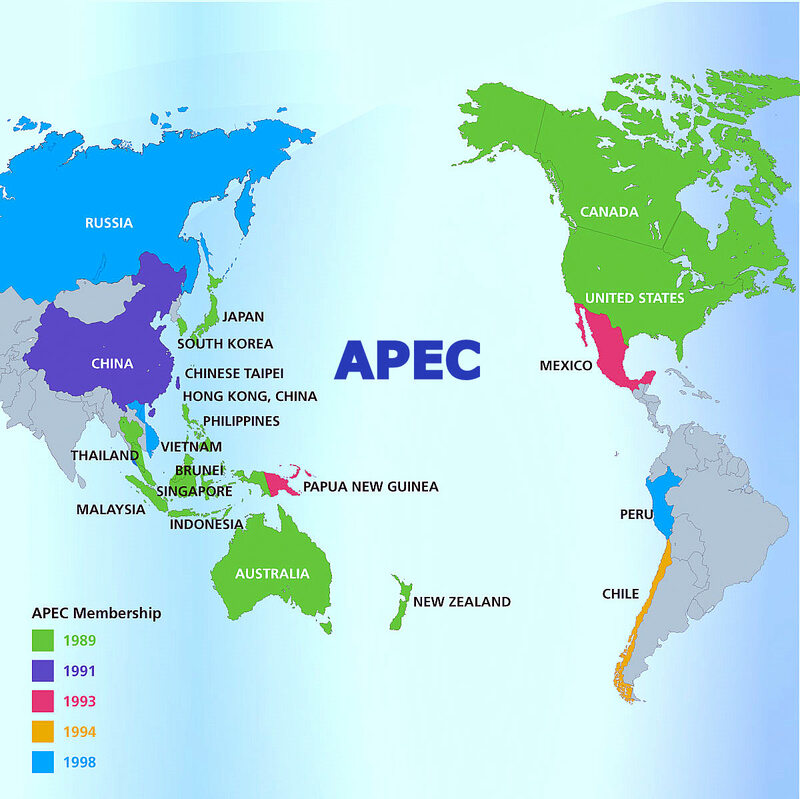 But in the 21st century, in May 2011, the Pacific facing countries Chile, Colombia and Perú are about to embark on a new Pacific Integration project that returns to the free trade vision of the 1990s. It is based on a growing affinity between the Pacific countries who are keen on using market economies, foreign investment and trade with Asia to achieve development. 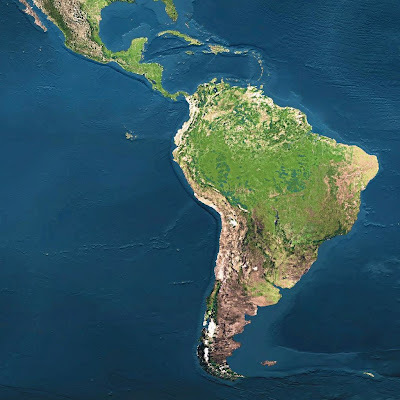 After two years of negotiation, the Integrated Latin American Market or in Spanish, Mercado Integrado Latinoaméricano (MILA) is about to be born. It will mean that traders on the stock markets of Chile, Colombia and Perú will be able to buy and sell shares of companies listed on the other two. Operations of a joint stock market linking Chile, Colombia and Perú are scheduled to begin on 30 May 2011. The new Integrated Latin American Bolsa (Stock Market) will have a market capitalisation of over $600 billion making it the second biggest after Brazil's BM&FBovespa. It will mark a new closeness in economic relations between these three Pacific Latin American countries and will be one of the first steps towards their aspiration to form a common market. The idea of a new Pacific Common Market project was launched by Peruvian President Alan García, in 2010. At Chile's request, the original three countries will be joined by México at a series of meetings over the coming year aimed at exploring deeper economic integration with each other. All these countries already have free trade agreements with the others (except México and Perú, which are now negotiating one). 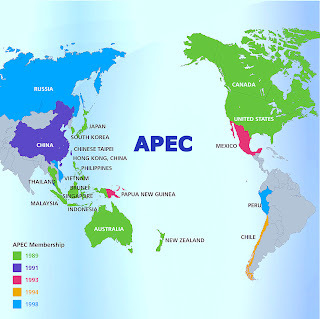 Chile, Perú and México are members of the Asia-Pacific Economic Cooperation organisation (APEC) which Colombia would also like to join. Chile and Perú also have free trade agreements with China. The idea is that Chile, Colombia, Perú and perhaps México will join together to bundle products for export to achieve the scale that importers in China are looking for. The three Pacific countries already trade closely together. For example, Chile's LAN airline has its main Latin American hub in Lima, Peru. Chilean retailers too have invested heavily in Perú and are now looking to Colombia. And Colombia already manages much of Perú's electricity grids. Through the new deeper Pacific integration, Colombia would like to integrate the electricity grids from México to Chile and to build the missing links. If the Pacific Countries economic integration precedes as planned, the Pacific side of Latin America could form an alternative pole of attraction to Brazil. The MILA stock market might also attract foreign investors looking for an alternative to Brazil's over brought markets. Recently, Brazil has shown more interest in becoming a global power than in deepening Latin American integration. So if the Pacific side project takes off, it may become attractive to other mid-sized Atlantic countries too. Eventually, the Pacific Integration Project could team up with the stock market of Brazil to become a big player on the world financial scene as a joint Latin American Bolsa. Latin American governments have failed to advance the cause of integration despite much talk at regional summits. Maybe the Pacific region's stock exchanges will be able to start doing what politicians have failed to do for so many years. Whatever happens the Pacific side of Latin America looks set to play a prominent role in the 21st century.